I grew up watching and loving the Star Trek films, particularly the so aptly named “Spock Trilogy” of movies that began with Star Trek II: The Wrath of Khan, continued with Star Trek III: The Search for Spock, and wrapped up with Star Trek IV: The Voyage Home. It centered around the original crew of the U.S.S Enterprise coming to terms with their respective inner demons in the middle of their careers, not to mention the passing and miraculous resurrection of the half-Human, half-Vulcan science officer Spock – who is undoubtedly the heart and soul of the Star Trek universe despite preaching and embracing the ways of logic, not emotion. It is with a heavy heart however that the world truly bids goodbye to Mr. Spock, as legendary actor, film director, and poet Leonard Nimoy has passed away – leaving millions of fans who knew him from Star Trek and beyond in great mourning. The official Star Trek Facebook page reported the sad news… Leaving many shocked and still in disbelief. Even with the sadness and loss, we take this moment to remember the career of a great man… Someone who brought joy and changed the way we looked to the stars and understood what it meant to be… Human. 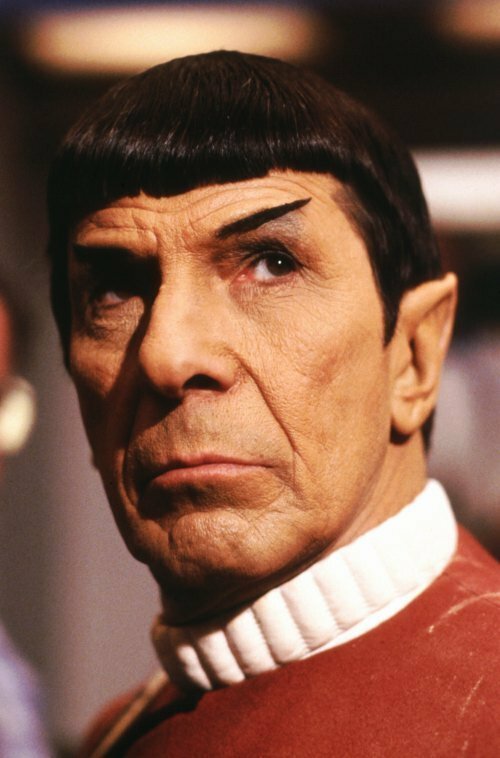 Despite being favorably typecast as the green-blooded Vulcan of the series that dares to “Boldly Go Where No One Has Gone Before“, Nimoy was a consummate performer, who took to other things besides donning the pointy ears and expressing a “Live Long and Prosper” vulcan salute. He appeared in other television shows like Dragnet and The Man From U.N.C.L.E., and had a pretty substantial run in the first Mission: Impossible series as well, playing the role of “The Great Paris“. In other popular culture franchises, Mr. Nimoy would also provide his legendary voice for two roles in two different Transformers movies. In the 1986 film “Transformers: The Movie” which practically changed the G1world of the Robots In Disguise, he provided the voice of Galvatron – a reformatted Megatron reborn to do the evil Unicron. In the Michael Bay 2011 film “Transformers: Dark of the Moon“, he voiced Sentinel Prime – mentor to Optimus Prime whose role was a big twist for many to see. Eventually, Nimoy would also go to reprise his iconic role as Spock in the new Star Trek films under the direction of J.J. Abrams. He appeared in an extensive role for the 2009 semi-reboot Star Trek film, and appeared in a cameo in the 2013 sequel “Star Trek Into Darkness“. He was also a gifted singer, and released some albums during his prime. One of his songs, called “The Ballad of Bilbo Baggins” has him telling the tale of J.R.R Tolkien’s “The Hobbit” in melody form. Nimoy also took to writing books and poetry, and also reached out to fans in any way he could – which includes Social Media. His official Twitter page is still active, yet the actor’s last official tweet was shared by the man himself days before he was hospitalized and eventually succumbed to his illness. The passing of Leonard Nimoy truly mirrors Spock’s sacrifice, death, and funeral in Star Trek II: The Wrath of Khan. It is a painful pill for the world to swallow, as a true icon of Sci-Fi and Film History has gone to a better place.